From Quarry To Countertop, Real Stone, Real Value is our tagline. We thought it would be interesting for you to know where we get our stone. We’ll start with the US. 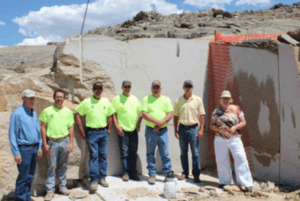 Colorado Yule Quarry, Marble, CO – Yule Marble is metamorphosed limestone found only in the Yule Creek Valley, in the West Elk Mountains of Colorado, 2.8 miles southeast of the town of Marble, Colorado. 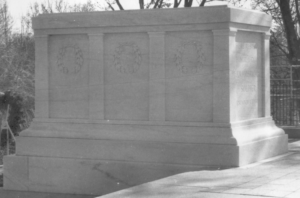 The size of the deposits enables large blocks to be quarried, which is why the marble for the Tomb of the Unknowns, with its 56-long-ton (57 t) die block, was quarried from Yule Marble. Imperial Danby, Danby VT – The Vermont Danby Quarry is the largest underground marble quarry in the world. The quarry is entered through the same opening that has been in use for over 100 years. From the outside of Dorset Mountain, the quarry looks the same as it did a century ago. From there the quarry twists and turns 1 ½ miles deep where Danby Marble is quarried. Dakota Mahogany®, Milbank South Dakota – Dakota Granite quarries six types of granite: Teaton Taupe, Dakota Mahogany Sunset, Dakota Mahogany, Whetstone, Dakota Mahogany Brown Velvet, American Bouquet, and Bellingham. Since 1925, Dakota Granite has had a long history of working closely with architects, design teams, and specifiers to solve their granite requirements. Their standard granite product line, or custom designed products, are cut to size, edged, shaped, and finished on-site.